A typical Young Farmer Nights tour. Photo courtesy of YFN web site. 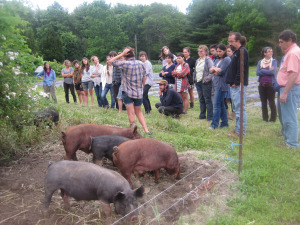 We are excited to welcome Young Farmer Nights of Rhode Island / Southeastern Massachusetts to our all-star directory of young and beginning farmer groups! 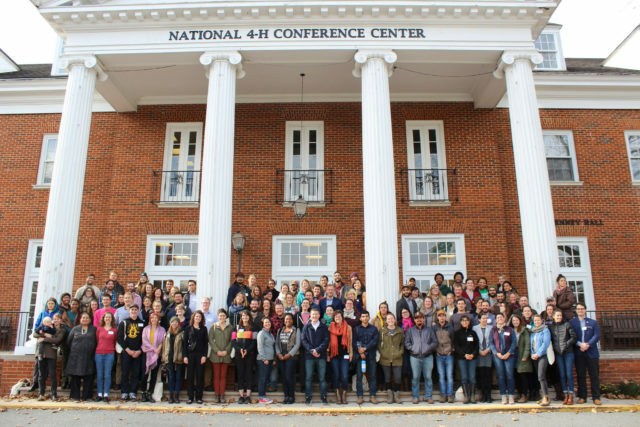 YFN began as informal on-farm gatherings of like-minded folks and is now beginning its fourth season this year. Eat dinner together (usually potluck style), have a farm related activity (e.g. a tour the fields or a presentation on something that works well on the farm), and then hang out (e.g. bonfire or play cards). The events are intended to start the process of developing a lasting community. Last season the connections and friends made at YFN led to collaboration such as: tool borrowing/trading, brainstorming on pest management, etc. Click here to learn more about the YFN event “Advocacy from the Experts” – tomorrow in Rehoboth, MA! In 2013, the group plans to add more educational/discussion-type events to the schedule, in addition to the bi-weekly farm tour/potlucks. The first panel discussion – entitled “Advocacy from the Experts” is tomorrow – check it out if you’re in the area! Learn more about the group on the YFN web site. Interested in organizing a group in your area? Contact us at organize@youngfarmers.org for more info. 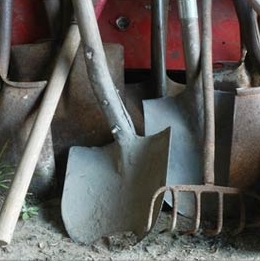 « previous article: Bootstrap @ Blue Sage Farm: Welcome!